Mr. Glenn writes that he will not sell the two show animals that Miss Berry had written to him about. 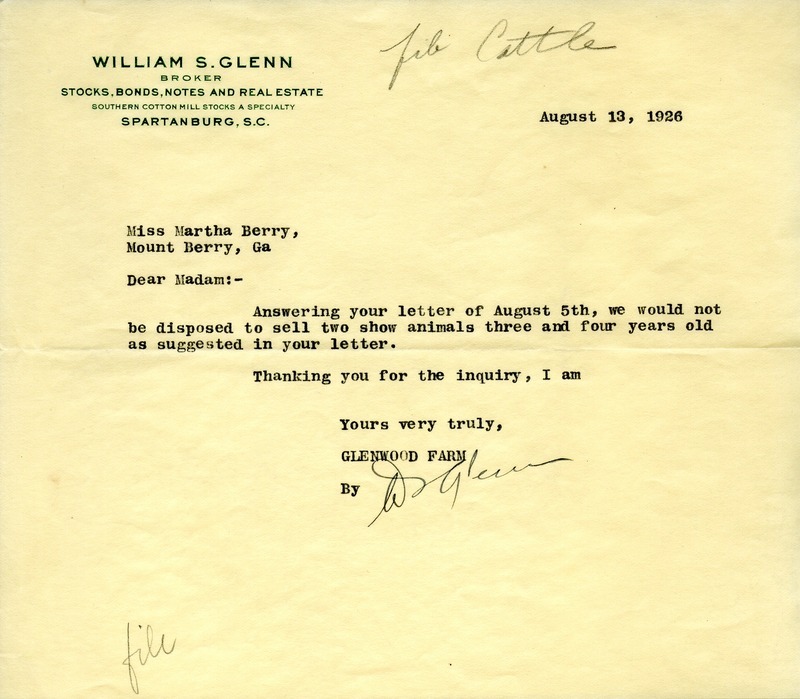 W. S. Glenn, “Letter to Martha Berry from William S. Glenn.” Martha Berry Digital Archive. Eds. Schlitz, Stephanie A., Chelsea Risley, Alan Henderson, et al. Mount Berry: Berry College, 2011. accessed April 21, 2019, https://mbda.berry.edu/items/show/1171.